A Book About Cambodia: Mr. Buddha! 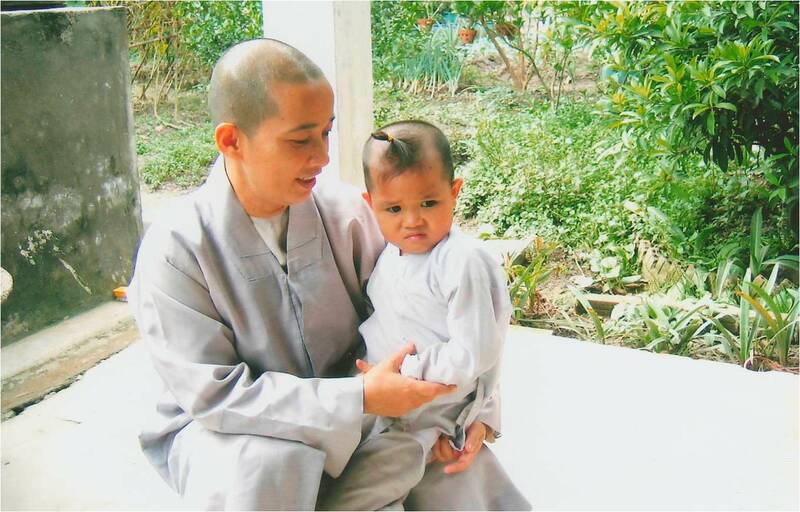 Sister Truth is one of the thousands of Buddhist nuns throughout Vietnam who do unpaid and unsung charity work, caring for the orphaned, the disabled and the destitute. Sister’s main problem is orphans. Hers is a small temple and a small community, with very limited space and resources. But, being in a poor area, orphans and unwanted children are plentiful, and every month she finds a baby dumped on her doorstep, or a desperate mother appears at her quarters begging her to take her children. 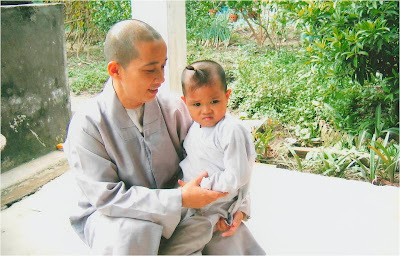 Almost the entire community of nuns in Binh Chanh is made up of orphan girls who have decided to embrace the religious life (and there is no compulsion to take the robe). The littlest nun is only five, and is adored by Sisters and disciples alike. She is very fat and very forward, with two top knots poking from her forehead, the rest of her head shaved. In spite of herself – for she likes to cultivate something of a hard-hearted exterior – Sister Truth dotes on the child, and spoils her terribly. She had been left by her mother at the temple some years ago, and no-one had ever been back to claim her or see her since. “The Abbess!” cried the little girl, throwing her arms around the Sister. “Mr. Buddha!” she cried, pointing towards the prayer hall.